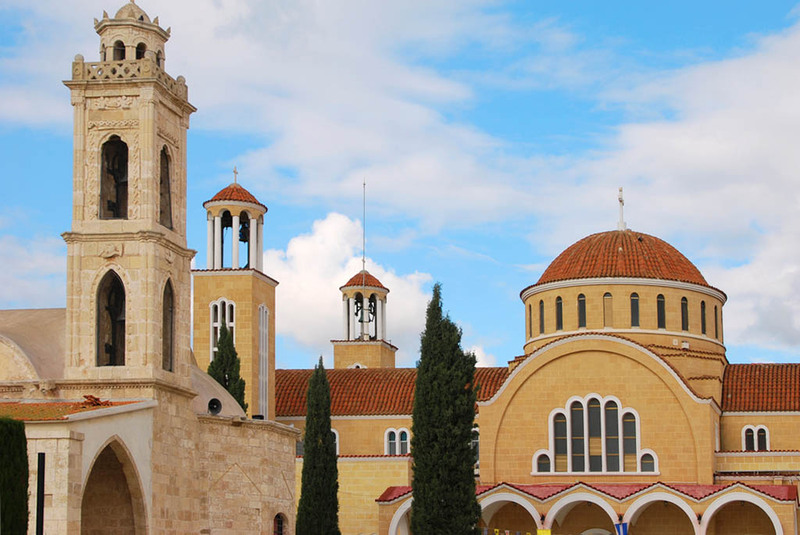 Amongst the churches and monasteries of Ayia Napa and Protaras district, the most famous is the Church of Ayia Napa (‘Napa’ means ‘forest’ in Greek), and is associated with one of the legends of the icon of the Virgin Mary. A small church was built at the site of the cave in the woods where the icon of the Virgin Mary was discovered, and where later a cathedral was erected. 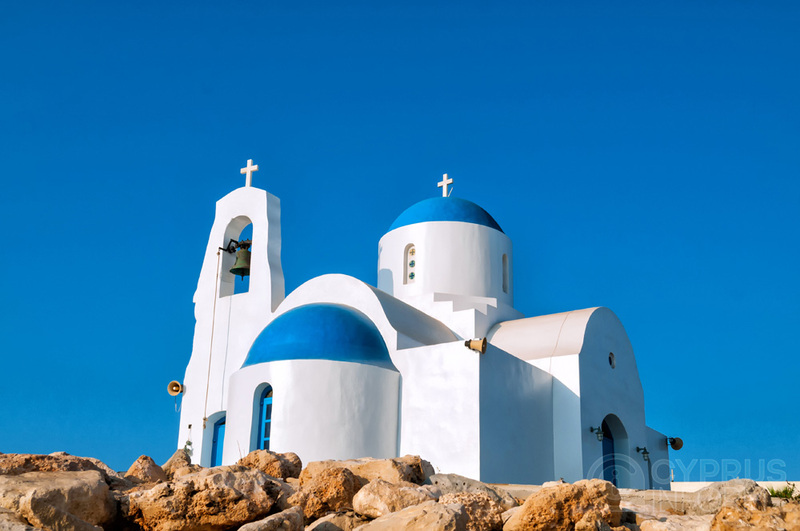 In the middle of the 18th century, fleeing from the plague, the first refugees arrived from Greece, creating a new town named after the holy icon – Ayia Napa. The church, monastic cells and a mill were built in the 1500’s, with a monastery and chapel added later. Near to the fountain is a two storey building where visitors can stay. 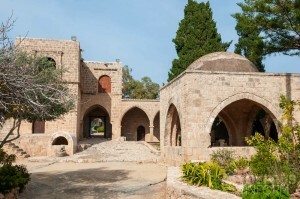 After the restoration in 1950 the monastery served as a venue for church meetings and activities. Currently there is a museum, and social events and festivals are held on the site. 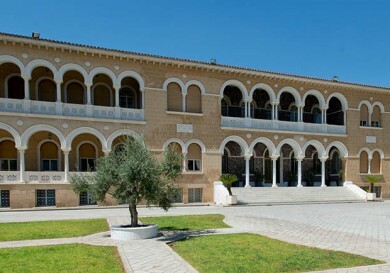 The monastery is located in the centre of Ayia Napa, 1 km from the coast. Parking is available nearby and the city is clearly signposted. 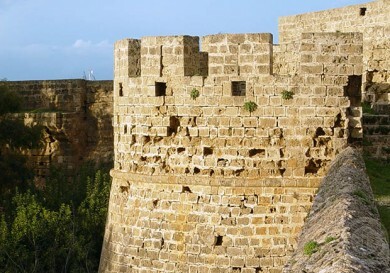 It will take approximately 1 ½ hours if coming from Limassol. 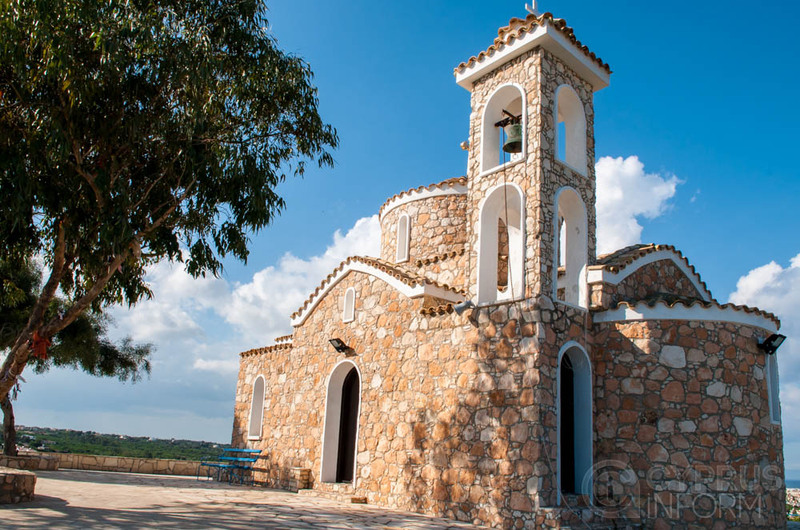 If you’re in Protaras then you should definitely visit the Prophet Elias Church, located on a hill approximately 115m above sea level. 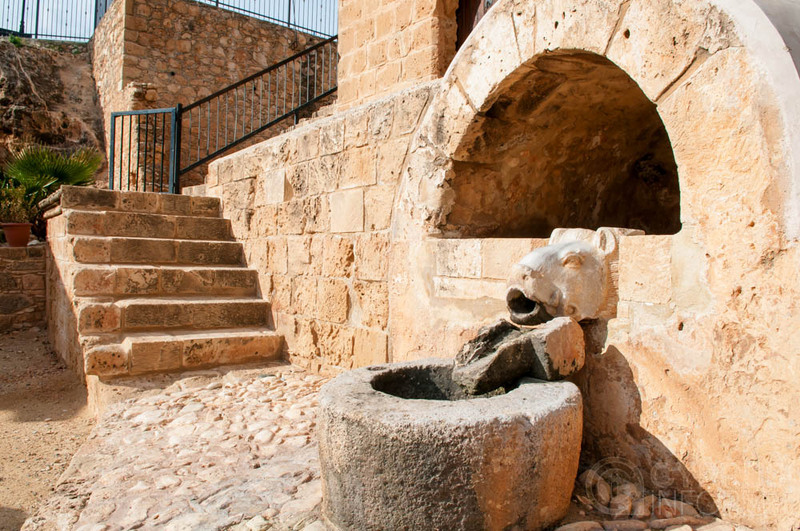 The place is named after the Old Testament prophet, Elias (Elijah), revered by the Orthodox church in Cyprus. Services and a fair are held annually in the church in honour of the saint. 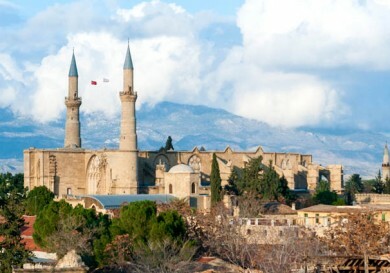 The architecture is similar to many of the churches and cathedrals in Cyprus. Inside it is decorated with frescoes and painted plates. There are many steps to the base of the church and, according to legend, if you count the number of them during the ascent and descent, and it’s the same, then all sins are forgiven. 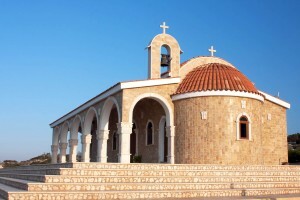 Prophet Elias Church is located 6 km south-east from the centre of Paralimni, Protaras, in Prophet Elijah (Elias) Street, at the foot of the mountain. The church was built in 2007 by the local fishermen and seafarers’ organization in honour of St. Nicholas, the patron of travelers and sailors. For example, during one of his voyages from Myra to Alexandria, he was able to tame the raging sea and resurrect a dead sailor who’d been ripped from the mast. The architecture of the temple is typical for Greek churches. It’s small but very cozy inside. There are windows in the church and the dome is painted blue, the colour of the sea. Over the entrance to the altar hangs a bell. Since the church is located on the cliff edge and is visible from afar, it is a beacon for fishermen and ships. The church is located near the Golden Coast Hotel, close to the fishing harbour and pier. Services (in Greek and Russian) are held on Sundays and feast days in the church of St. Nicholas in Protaras. You can reach the church with the No. 101 bus from Ayia Napa and the № 102 from Paralimni. The bus stop is Vrisoudion 1. This old church was built and consecrated in honour of the Cypriot Archbishop, Epiphanius, known for his participation in the Second Ecumenical Council. The new church was built in 2006. 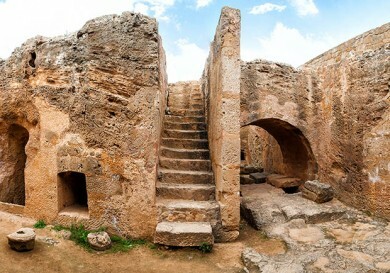 Now it is a complex consisting of the St. Epiphanius monastery carved into the rock, the little old church with a glass floor, and the new jeweled temple which is often used for weddings and other celebrations. 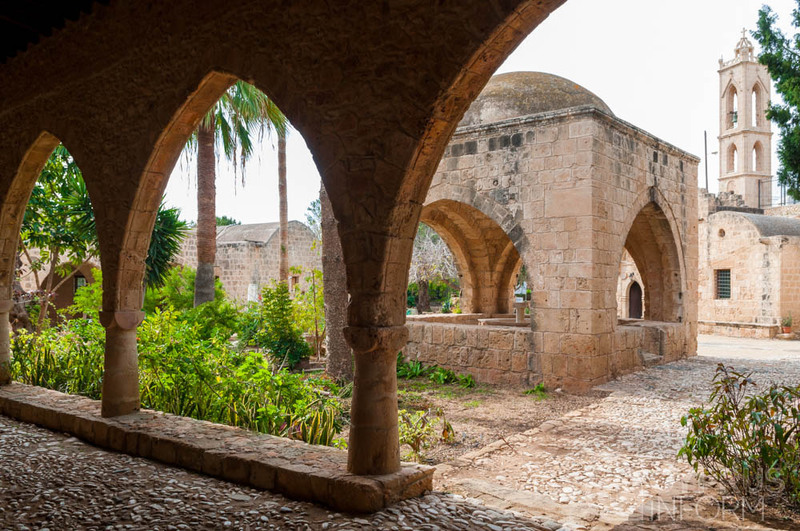 Church of St. Epiphanius is located 1.2 km east of Ayia Napa centre. The Cathedral was built in honour of St. George. 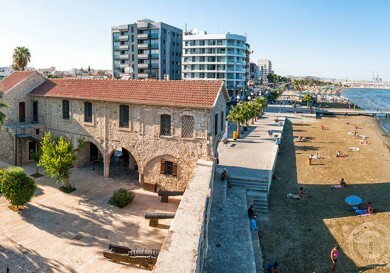 Now it’s located in the centre of Paralimni town, just north of the old St. George church on Agios Georgios Street. The first stone of the temple was laid in 1963, and the building was completely rebuilt by 1966.